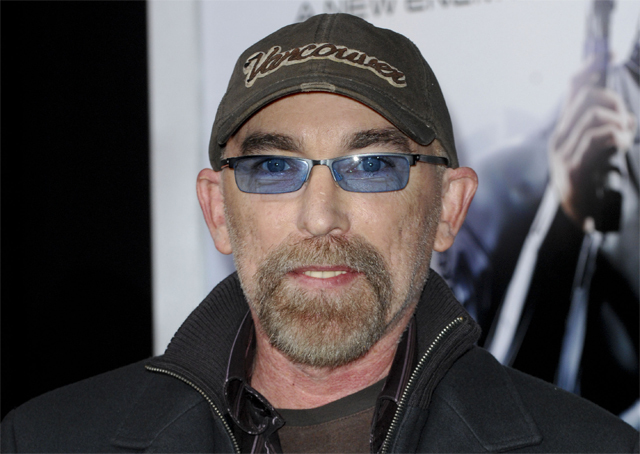 Deadline is reporting that Oscar-nominated actor Jackie Earle Haley (Little Children, RoboCop) has joined the cast of Sony’s adaptation of Stephen King‘s The Dark Tower, which just began filming this week! He will play vampire leader Sayre, a humanoid who fears no one. In addition, Haley has also signed on to Amazon Studios and Sony Pictures Television‘s upcoming new The Tick series as central bad guy The Terror, leader of the evil league in the comics. Haley has previously appeared in comic book adaptations Watchmen and the upcoming series Preacher in the regular role of Odin Quincannon, which he will juggle with The Tick and Dark Tower roles. Patrick Warburton, who headlined the previous live-action take on The Tick, is meanwhile attached as an executive producer for the new show. Also returning from the previous series are executive producers Ben Edlund and Barry Josephson. Edlund, who created The Tick, is also writing the new series. Guardians of the Galaxy‘s Peter Serafinowicz leads a The Tick cast that already is set to feature Vinyl star Griffin Newman as accountant-turned-moth-themed-superhero Arthur Everest, while House of Lies‘ Valorie Curry will play Arthur’s sister, Dot. The Tick was originally created by Ben Edlund in 1986 as a mascot for New England Comics. Edlund then brought the nigh-invulnerable justice seeker to life in The Tick’s own book two years later. In 1994, the first The Tick series came to television as an animated half-hour show which ran for two seasons and 36 episodes. All but two of those episodes have been released on DVD. However, citing “creative considerations,” “The Tick vs. The Mole Men” and “Alone Together” were omitted from their respective DVD sets. The new The Tick will feature a pilot episode helmed by Transcendence‘s Wally Pfister. Check back for additional casting announcements as soon as they become available. Meanwhile, Haley joins a Dark Tower cast that includes Idris Elba as Roland Deschain (The Gunslinger), Matthew McConaughey as Randall Flag (The Man in Black), Abbey Lee as the film’s female lead, Tirana, and Tom Taylor in the Jake Chambers role. Director Nikolaj Arcel, who co-wrote the Swedish version of The Girl with the Dragon Tattoo and directed the Academy Award-nominated A Royal Affair, is set to helm the big screen adaptation, set up through Sony Pictures and MRC. Academy Award winner Akiva Goldsman (A Beautiful Mind) and Jeff Pinkner (The Amazing Spider-Man 2) have written the screenplay, which is said to be based primarily on the first book in the seven-volume series. There’s also a tie-in television series in development simultaneously. Ron Howard was initially planning to direct the first film in the series. He is now involved in producing the series through his Imagine Entertainment alongside Brian Grazer and Erica Huggins. Goldsman is also producing through Weed Road with Pinkner set to serve as executive producer. The Dark Tower is currently set for release on January 13, 2017.